BESWICK BERKSHIRE BOAR PIG FIGURINE, 4118, GLOSS, BOXED. BEATRIX POTTER - BESWICK / ROYAL ALBERT - N to Y FIGURINES. BEATRIX POTTER - BESWICK / ROYAL ALBERT - A to H FIGURINES. 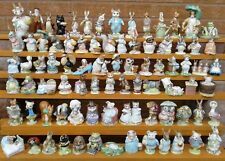 BEATRIX POTTER - BESWICK / ROYAL ALBERT - J to M FIGURINES. 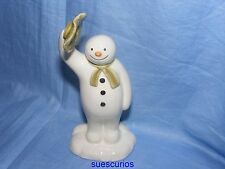 John Beswick various Snowman figurines, Free Wade Whimsie with each purchase! Beautiful Beswick Grey Wagtail Perfect Condition Bird Figurine Porcelain. Condition is Used. Dispatched with Royal Mail 1st Class. Make Supersized seem small. 5" in Height. Used and unboxed but in good condition, just needs cleaning. Cash on collection is accepted. 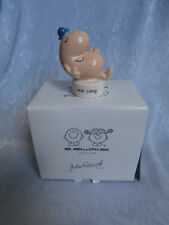 John Beswick Little Miss Figures.Boxed.V.G.C. Miss Lucky Miss Naughty. Set Of 4 Beswick figurines. All in excellent condition.Set includes CC 4 Rat catcher Bill CC5 Trad Jazz Tom CC6 Cat walking Bass CC7 Feline Flemenco Dispatched with Royal Mail 2nd Class. BEATRIX POTTER. ~ ~ A Gorgeous, Superb Quality Collectable Based On The Storybook Characters Of Beatrix Potter ~ ~. "TOM KITTEN AND BUTTERFLY ". ROYAL ALBERT. John Beswick. 11.5 cm High. "Farmyard". John Beswick. "Saddleback Pig. Taken from the 2012 film 'The Snowman and The Snowdog.'. Hair, Skin and Nails. Made from Earthenware Pottery. Wooden toys. Construction Toys. Character Toys. Arts and Crafts. Royal Creamware. "Farmyard". John Beswick. "White Pig. Taken from the 2012 film 'The Snowman and The Snowdog'. BABY & NURSERY. Skincare Products Health. Wooden toys. Construction Toys. Character Toys. Arts and Crafts. Royal Creamware. To comprise Grandma Hippo (HH1), Grandpa Hippo (HH2), Ma Hippo (HH3), Pa Hippo (HH4), Harriet Hippo (HH5) and Hugo Hippo (HH6). Typical Beswick factory mark to bases, most with Royal Doulton inspection labels. Generally in good condition, but one leg has been reattached. (TABITHA AND MOPPET. Alternative Colourway Variation To Manufacture ). BEATRIX POTTER. ~ ~ A Gorgeous, Superb Quality Collectable Based On The Storybook Characters Of Beatrix Potter ~ ~. Great Character. By Arthur Gredington. Beswick " Bison ". Marks for Beswick on the baseare clear. Model number 1019. Dark Brown Gloss Colour. Supplier reference: JBB34. The John Beswick collection represents the worlds finest tradition for ceramic animal sculptures. Every piece is hand painted to reflect the natural glory of our favourite animals, with collections featuring horses, farm animals, birds, pets and wildlife studies. MODEL BP3C. BEATRIX POTTER. "TOM KITTEN AND BUTTERFLY". BESWICK MIDDLEWHITE BOAR PIG FIGURINE, 4117, GLOSS, BOXED. ITEM SHOWS BESWICK BACKSTAMP. A LOVELY PIECE TO ADD TO YOUR COLLECTION. I will get straight back to you. BESWICK ROYAL ALBERT 'BABBITTY BUMBLE'. in excellent original condition. Beswick Thelwell Bay Pony "Angel On Horseback" 2704B Figurine. Designed by Norman Thelwell and was introduced in 1981. Beswick Thelwell Grey Pony "Angel On Horseback" 2704B Figurine. BESWICK WARE BEATRIX POTTER TABLEAU - GINGER & PICKLES - LTD EDN & COA - BOXED - P3790. The Tableau is fully marked on the base with the gold Beswick Ware backstamp. England by Beswick Ware. This would make a lovely addition to any Beatrix Potter Tableau collection. John Beswick Country Animals Collection. For centuries the fox has been associated with trickery and cunning, attributed to their predatory behaviours despite their small size. BEATRIX POTTER. ~ ~ A Gorgeous, Superb Quality Collectable Based On The Storybook Characters Of Beatrix Potter ~ ~. "PETER RABBIT GARDENING ". "Wonderful Collectable! ". Wonderful RARE & Highly Collectable, A Perfect Addition To Your Collection! Part of the English Country Folk series by Beswick depicting happy animals from withthe countryside. Model number 1439A. By Arthur Gredington. Beswick Friesian Bull. Coddington Hilt Bar ". Marks for Beswick on the baseare clear. Black and White Gloss Colour. Taken from the 2012 film 'The Snowman and The Snowdog.'. Hair, Skin and Nails. Arts and Crafts. Wooden toys. Construction Toys. Character Toys. Royal Creamware. Emma Bridgewater. WESTMINSTER EDITIONS -BEATRIX POTTER - SELECTION OF FIGURINES - LIMITED EDITION. Details : Clearly marked with the Beswick backstamp as shown in the last picture. The Kemporium. Details : Clearly marked with the Royal Albert backstamp as shown in the last picture. Produced with BP-6a for 6 years. Issued: 1988-1994. "IMARI RABBIT ". ANTIQUE JAPANESE /. Wonderful RARE & Highly Collectable, A Perfect Addition To Your Collection! 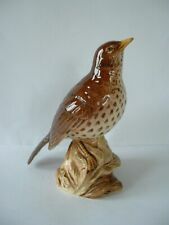 ~ ~ A Gorgeous, Superb Quality Collectable ~ ~. Excellent Used Condition! Beswick Figurine Little Likeables CATS CHORUS. In excellent condition.